VeryPDF PDF to Image Converter Command Line for Linux is built to convert PDF to TIFF, JPEG, GIF, PNG, BMP, PCX, TGA, PBM, PGM, and PPM. With it, you can set the resolution, size, and color depth. Moreover, the program supports both open password and permission password of PDF. 5. 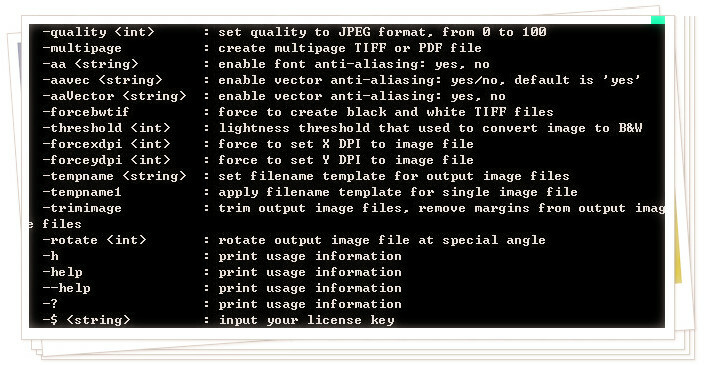 For JPEG output, it can set the image quality to control the file storage. 6. For TIFF output, it supports multipage TIFF image. 9. Able to convert open (user) password and permission (owner) password protected PDF. Track time use by project, by activity and by activity across projects. Use this information to analyze how you use your time and devise ways to become more productive. Use it as a tool to track billable hours and control non productive activities.